Lincoln Center's renamed culture corridor Rubinstein Atrium (formerly the Harmony Atrium) is open, and roving photographer Will Femia brings us a closer look at the snazzed-up space. 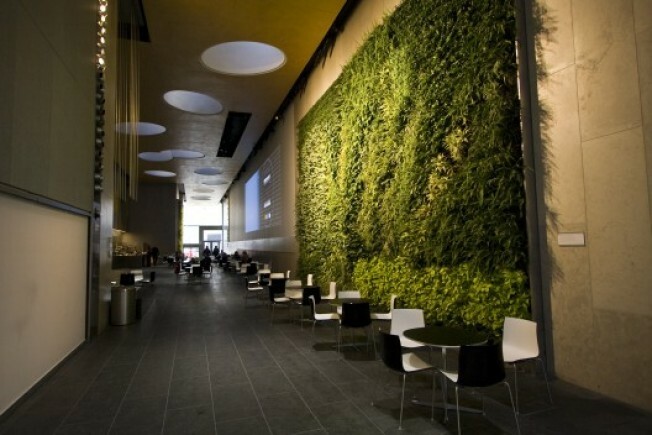 Click through the gallery for some close-up time with the wall of plants (20 feet high!) designed by Tod Williams Bille Tsien Architects. There are also gourmet sandwiches and a Lincoln Center-specific version of a TKTS booth. Hey, Columbus Circle shoppers: the just-opened space is reportedly still something of a ghost town, so why stand and eat at Whole Foods when you could be enjoying some Tom Colicchio in peace and quiet.